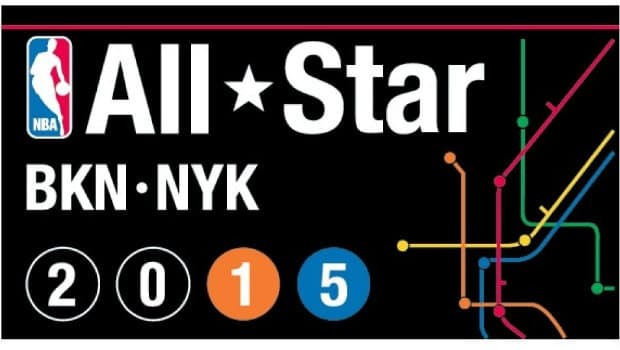 The real action gets underway tonight in New York and will run all weekend culminating with the All-Star Game on Sunday night. In this guide I’m going to share my best bets in the various markets. This isn’t an exhaustive schedule of events, but I’ve listed everything that you’re going to want to watch. Grab a 50% for up to $250 at TopBet to bet on the Slam Dunk Contest. LaVine is favored to win the contest and he’s my bet as well. He’s a small package, but he has the hops to steal the show in Brooklyn. There are countless videos showing this kid’s dunking ability. Some of the bigger names in the competition are Antetokounmpo and Oladipo. The odds on both guys have steamed in recently. Oladipo is getting a lot of public love, but he doesn’t interest me. I like the Greek Freak, as he has some unnatural abilities. He has the capability to try and hit some dunks that the other guys in the contest couldn’t even think about doing, so he’s a live underdog. Plumlee has enticing odds for a big man and we know the big man can win this contest, as evidenced by Griffin and Howard in years past. He’ll have the crowd behind him, but will he have enough creativity? You’ll find the best odds for this market at Bovada (50% up to $250 Bonus). This is a tough market to predict. Belinelli will look to defend his title, but the bookies don’t expect him to win again. I don’t either. I’m rolling the dice on Thompson who has been shooting lights out. All of these guys have been nailing 3’s all season at a high rate, so anyone could win. Korver has been getting a lot of action and is now the favorite, but I’m not sure how he’ll end up doing. Matthews is a sneaky play at his odds. He doesn’t shoot as high of a percentage from deep as some of these guys, but he has made 161 3-point shots, which is 1st in the NBA with Korver and Curry. BetOnline (25% for up to $1K) is the only bookie offering this market right now. There was a rule change this year that requires players to sink a 3-point shot at the end of each round in the contest. I bet on Thomas earlier and still like him at these odds, as he’s built for this contest. Thomas is quick, agile and can hit a 3-point shot at about a 40% clip. All of these guys have a shot and you can’t go wrong with anyone. Burke is going overlooked after despite winning this event last year. The West have had multiple players drop out because of injury, but the West roster is still better as a whole than the East’s roster. The West are so deep that Westbrook and Durant aren’t starters. Last year the East won the game, but the West had won the prior three ASG games and I’m betting on them to win this year. The West aren’t going to allow the East to beat them again like last year.